A native of Germany, Monika Ebi came to the United States at the age of seven. She was raised in Morris County New Jersey, where she fell in love with the art of photography while taking a high school class. Monika did not pursue photography in college or professionally, but always enjoyed the evolving art as a hobby. Her preferred subject matter lies between capturing things that usually go unnoticed and finding the beauty in items such as rust and decay. She strives to show the world from a different perspective, playing mainly with angle and zoom. 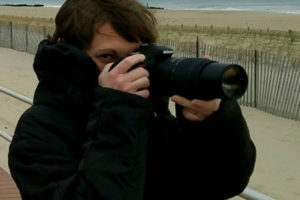 With a door opened by her artist husband of two years, Monika had her first gallery showing at Philadelphia’s 3rd Street Gallery Open Artist Exhibit in 2016. Monika and her husband John Oz, a talented mixed method artist, displayed their work together. They currently reside in Swedesboro, NJ with John’s three children.